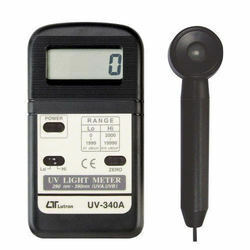 Offering you a complete choice of products which include lutron lx-1102 light meter, lutron uvc-254 uv light meter, lutron lx-102 digital lux meter, lutron uva-365 uv light meter, lutron lx-1108 light meter and lutron lx-103 digital lux meter. Large LCD display with bargraph and indicator.Water resistance front panel. Use the rubber key for the function select.LSI circuit provides high reliability and durability.Zero adjusting button.Data hold.Memory function to display the max. & min display value with Recall.Auto power auto off or manual power off.Compact size and excellent operation.Built-in low battery indicator.RS-232 computer serial data output. Sensor used the exclusive photo diode & color correction filter, spectrum meet C.I.E. 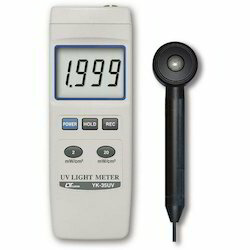 photopic.Sensor cosine correction factor meet standard.Separate Light Sensor allows user to measure the light at an optimum position.Lux & Foot-candle unit selection. Microprocessor circuit assures maximum possible accuracy, provided special functions and features.Exclusive UVC sensor with correction filter.Super large LCD display, easy readout.Heavy duty & compact housing case.Records Maximum, Minimum reading.Data hold.Auto power off saves battery life.Operates from 9V battery. RS 232 PC serial interface.Zero adjustment by push button. Sensor used the exclusive photo diode & color correction filter, spectrum meet C. I. E. photopic.Sensor COS correction factor meet standard. 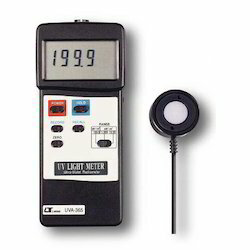 Precise and easy readout, wide range.High accuracy in measuring.Built-in low battery indicator.LSI-circuit use provides high reliability and durability. 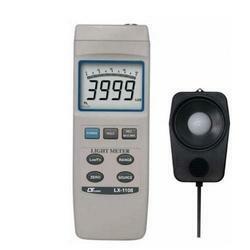 LCD display provides low power consumption.Compact, light-weight, and excellent operation. Microprocessor circuit assures maximum possible accuracy, provided special functions and features.Exclusive UVA sensor with correction filter.Super large LCD display, easy readout. Heavy duty & compact housing case.Records Maximum, Minimum reading.Data hold. Auto power off saves battery life.Operates from 9V battery.RS 232 PC serial interface. Sensor Used The Exclusive Photo Diode & Color Correction Filter, Spectrum Meet C.i.e.photopic. Sensor Cosine Correction Factor Meet Standard.Both Lux & Foot-candle Measurement, Wide Range Separate Light Sensor Allows User To Measure The Light At An Optimum Position. 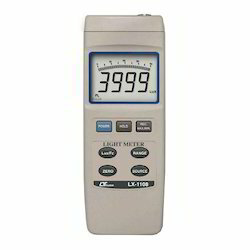 High Accuracy In Measuring.lsi Circuit Provides High Reliability And Durability.lcd Display Allows Clear Readout-out Even At High Ambient Light Level. 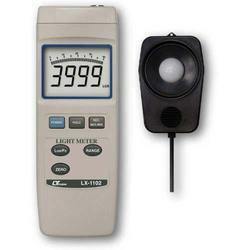 Looking for Lux Meter Imported ?